Autumn has built an impressive track record of advancing academic institutions throughout her career, by developing strategies and programs that provide resources and workforce development opportunities to students, educators and clients. Her experience includes work with local school districts, state level administration, community colleges and universities, and industry. Prior to joining MAGNET, Mrs. Russell worked with the Ohio Department of Education, serving as Team Lead in the Office of Academic Distress Commissions and Education Reform. There she helped develop and manage the district review process for low-performing school districts, assessing the human resources departments and professional development plans, making state recommendations for improvement. She was previously a Director with the Cleveland Metropolitan School District where she lead the school improvement taskforce and successfully managed the Closing the Achievement Gap program, a grant-funded, state-wide initiative to increase the high school graduation rate of the most at-risk student populations. Additionally, Autumn worked with Cleveland State University’s Urban Leadership Institute, facilitating leadership development training for principals who aspire to be school district leaders. She’s also served as Program Manager of the Professional Development Institute at Cuyahoga Community College, and as a Career Specialist at Antioch College in Springfield, Ohio, where she linked college students to co-ops and internships with local businesses. 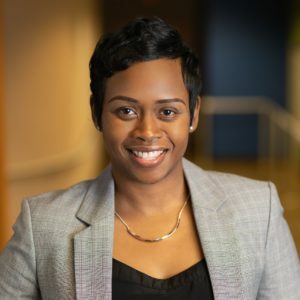 Currently, as the Executive Director of the Early College, Early Career program at MAGNET, Autumn develops strategy and directs an innovative pre-apprenticeship program to help innercity and rural high school students connect to careers in manufacturing. Under her direction, Magnet’s ECEC program weaves together eight independent programs into a comprehensive career pathway that is growing the manufacturing workforce. So far, Russell’s team of six, which works with seven high schools, has placed 79 paid interns with 10 employers across 3 counties. Autumn holds a bachelors in organizational development; a masters in education administration; and is currently pursuing a doctorate. She’s a certified program planner, certified career pathways leader, and was recently recognized as a Notable Woman in STEM in Crain’s Cleveland Business Magazine. Autumn resides in Cleveland, Ohio with her husband and three beautiful daughters.